A natural, spring-fed lake, a few hundred feet across. The water stays at a comfortable 75 degrees year round. 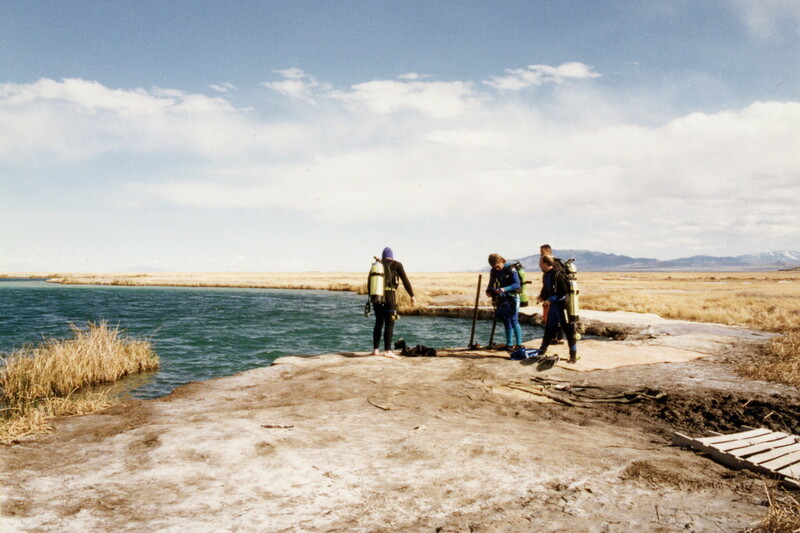 Scuba divers come from as far away as Ogden to do their “open water” check-out dives here. The pool is 60 feet deep in places, and there are submerged platforms, some built into the vertical walls and some kept aloft with buoys, adding a sort of submarine architecture to this clear blue aqueous chasm in the middle of the desert. Blue Lake is technically in the Wendover bombing range, and it is surrounded by signs warning you not to stray too far. Right of way to the lake is freely given to the public, as this portion of the range is relatively unused by the military.